RCIA Each year on Holy Saturday during the Easter Vigil, thousands of are baptized into the Catholic Church in the United States. They have been on a journey of faith, asking questions of themselves and our parish about what it means to lead a life of faith within our church. The days of Lent are the final Period of Purification and Enlightenment leading up to the Easter Vigil. Lent is a period of preparation marked by prayer, study, and spiritual direction for the Elect, and prayers for them by the parish communities. 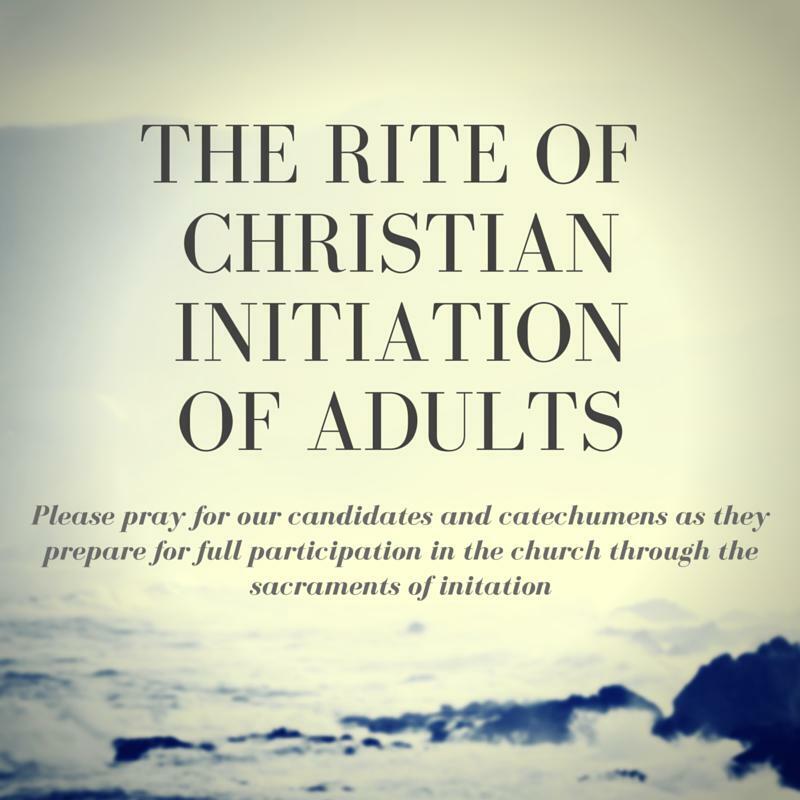 You can meet and learn the stories of some of the adults preparing for initiation by visiting http://stfrancis2.wpengine.com/rcia. If you would like more information about RCIA, please contact us at rcia@stfrancisraleigh.org. Please click HERE to see all the service opportunities available for you and/or your family. Please give generously to the Bishop’s Annual Appeal by Clicking Here. If you would like to be able to make your Parish contributions electronically, you can sign up here for our Faith Direct program.